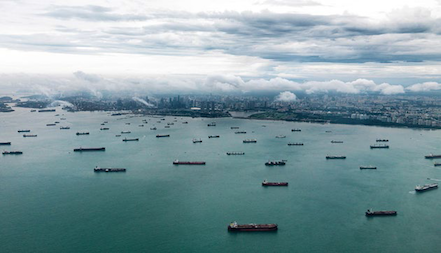 Michael Grey, my mentor as a commentator on our industry, tells me that he recalls interviewing the late Pao YueKong, shortly after a particularly well-publicised report on the prospects for the future of merchant shipping had appeared. Michael asked the great man what he thought of it. We might like to take that tip, and pay attention to what our current political leaders are saying. One thing is very clear – what the leaders of ‘the West’ are not talking about are the nuts and bolts of the economy. If you want to hear detail on world free trade, listen to Florida-bound Xi Jinping, because nobody else is talking about it. This is a change – a big change. The days when “The economy, stupid!”, James Carville’s 1992 campaign slogan for Bill Clinton’s successful presidential campaign, was the main thing, are, it seems, over. After all, that was 25 years ago. We had two decades during which “The economy, stupid!” was exactly what our elected and unelected political leaders chose to talk about, to think about and to give their attention to. That gave us ‘globalisation’, which is now a rather worn out phrase. It gave us the ‘super boom’ of 2004-8, it gave us the North American Free Trade Agreement, it gave us the expansion to the east of the European Union, it lifted China to the top rank of important nations, and despite a few bumps along the way, such as the now-forgotten Asian financial crisis of 1997, it increased the wealth of hundreds of millions of people. Needless to say it expanded trade by sea immensely. It fits nicely into my ‘ruler on a graph’ statement that the ton mileage of trade by sea has doubled every fifteen years since the 1940s. At almost no point, during the decades when, “The economy, stupid!” was the received wisdom, did any political leader in power seem to think that the masses of people who were becoming materially better off might dislike the process. Human nature is perverse. The very many people who enjoyed shopping for very cheap goods, often made in China, which they could now afford, as the world enjoyed two decades of almost inflation free growth, thanks to “China exporting its deflation”, chose to resent the fact that they were no longer being employed to make those goods, which indeed they hardly could have been, at the wages they expected. It seems that most people really do think that it is possible to ‘have their cake’, in the form of cheap things to buy, and to ‘eat their cake’, in the form of a well paid job, for life, with congenial workmates, finishing with a good pension, at the same time. As we all know, and as as no elected politician will say, this is impossible. Our political leaders are not talking about the real economy. They are talking about immigration, about terrorism, about social issues, and, when they do mention economics, it is fantasy economics. They are going, they tell us, to achieve the impossible. Donald Trump is going to, “Bring those jobs back, and make America great again!” Theresa May is going to make Little England the leading free trade nation in the world, and so on. There is never any detail, of course. There hardly could be. You don’t count the bricks when you build castles in the air. I don’t need to tell you – no Letter of Credit means no Bill of Lading. We last saw this back in the Asian crisis of 1997. This time – not just Southeast Asia. The World Trade Organisation is similarly gloomy. Bulk carrier rates have perked up mainly, so far as I can see, because the spring recovery coincided with the Connecticut Maritime Association’s annual shindig, tanker rates may be heading south, and boxboat charter rates are just off the floor because of the alliance reshuffles. These grim rates are in place despite the ports of the world being generally busy to the point of congestion, which tells us that we are hugely, hugely, overtonnaged. We are being led on a rope by blind people, who do not know that they are teetering on the edge of a chasm. The emperor has no clothes. Thanks for this comment. Insightful because as you rightly say, no one wants to call out the emperor’s nakedness and you did. Who will listen to the child? I hope it’s not a case of “going to hell in a handbasket” – shall I remain sanguine? Once again you are spot on. We are still in denial yet when the debt overhang hits upon us we’ll know that we are up for a tectonic shift. Ultra loose policies are not enough to conceal the displacement underway. the whole affair resembles liquefaction: if untouched it seems robust, give it a list and you’ll capsize. I should point out an error; the last time when trade finance dried up and caused mass unemployment of ships was of course 2008, after the failure of Lehman Brothers, and not 1997. But the circumstances were similar.